MSF Sugar is closer to realising its $500 million Mary Harbour project at Maryborough after lodging the master plan development application on Thursday with Fraser Coast Regional Council. The milestone for Maryborough’s largest ever master planned community is the culmination of many years of planning by MSF. MSF chief executive Mike Barry said the project would be a key player in driving and stimulating Maryborough’s economic growth during the development period by creating significant direct and indirect employment. He said the company was exploring all options for the project’s 10-to-12-year development phase, including working with a joint-venture partner. “We have a very open-minded approach as to how that phase of Mary Harbour will unfold,” Mr Barry said. “It’s a massive project that lends itself to a number of scenarios which are all on the table. The development of the Mary Harbour site is part of MSF’s long-term strategy to fully utilise selected properties within its property portfolio. New acquisitions by MSF since the announcement of the project have increased the company’s sugarcane land bank, replacing the Mary Harbour land five times over. He said Mary Harbour was a 21st century lifestyle development set to house more than 4000 people in a diverse range of housing types with facilities structured around boating and water recreation. 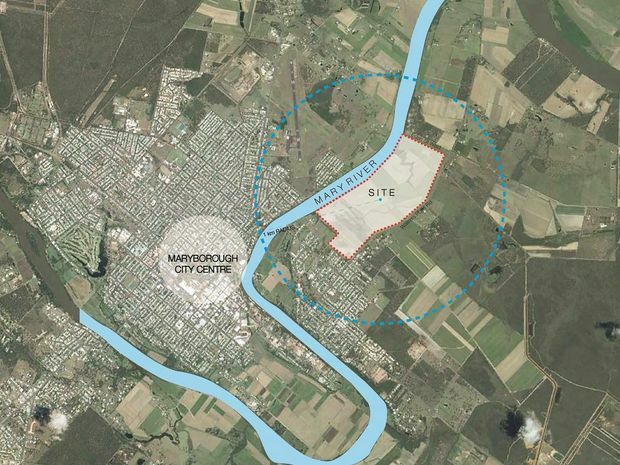 It will take shape on a 177 hectare site boasting almost 2km frontage to the Mary River. There will be more than 1800 dwellings with lot sizes ranging from 250sqm to 650sqm and housing types ranging from single dwelling/duplex to medium density and aged housing-style accommodation. Mary Harbour’s centrepiece will be the man-made harbour with a 300-berth marina, waterfront boardwalks, village centre, extensive pedestrian and cycle path network and a significant flood and stormwater plain, including lakes and spillway. A four-star 100-room resort style hotel is proposed on the harbour’s headland along with conference facilities. Mr Barry said the Mary Harbour master plan had been conceived in architectural, urban and landscape design terms as a “quintessential” place that projects a community image and a waterfront lifestyle of the highest quality. “It will adopt a development concept accommodating people from different walks of life with various demographic profiles,” he said. He said MSF was hoping to have an approval by end of the year.